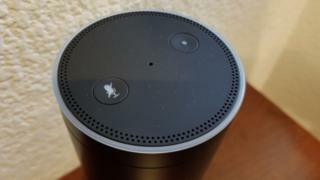 A judge in the US has asked Amazon to hand over audio recordings from an Amazon Echo which was in a house where two women died. Their bodies were found under the porch of a home in New Hampshire with multiple stab wounds. The man accused of their murder has pleaded not guilty and is due to stand trial next year. Amazon said it would not hand over any data about the device without a legally-binding instruction. The judge had also requested any additional data, such as which devices were paired with it at the time the women were attacked in January 2017. Amazon told the Associated Press it would not hand over anything “without a valid and binding legal demand properly served on us”. Last year the tech giant did agree to hand over data from an Echo that may have been operating at the time of a murder in Arkansas – but only after the defendant consented. The Amazon Echo is activated by a wake-up word – generally the name Alexa – but fragments of audio are recorded as it awaits a command. However, the data is only sent back to Amazon if the trigger word is uttered.